Vermiculite is an important ingredient of Mel’s Mix, the gardening soil I use in my square foot garden. It is particularly helpful for square foot, container, and raised bed gardens. Vermiculite is a natural mineral. It starts off like mica–sort of a flaky rock. When heat is applied, it expands and becomes a light, fluffy, fire-resistant material. There are numerous uses for this product (like insulation), but here we’re using it as a soil conditioner for our garden beds. It helps keep soil light, allows for good airflow, and absorbs and retains water. When added to compost and peat moss, it creates Mel’s Mix. Where can I buy vermiculite? Sometimes “box stores” like Wal-Mart, Home Depot, or Lowes will carry vermiculite. However, they tend to carry only small bags, and they are expensive. It’s better to get them in larger quantities (3 or 4 cubic foot bags), which can sometimes be found at local nurseries or farm co-op stores. I was recently doing a web search on this, and hit the JACKPOT! Here is a link to a list of stores that carry vermiculite across the USA. Many thanks to the creator of this list! 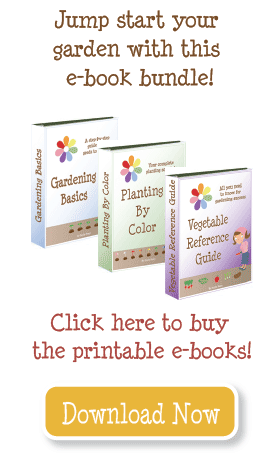 Are there substitutes for vermiculite? If you simply cannot find vermiculite, you have an alternative. First, you can always garden with straight compost, or a mix of compost and peat moss. My experience is, this soil gets very bogged down with water, and doesn’t drain well. The other option is to purchase Perlite. This is the white stuff you find in potting mixes. It does not have all the great benefits of vermiculite, but will do in a pinch. Call your local pool builder. It is used as the base for all vinyl liner inground pools before the liner goes in. Be sure to specify the stuff that isn’t premixed with portland cement unless you also want to dump a whole lot of calcium in your soil. Probably not a bad deal so long as you get it into the soil before adding water and don’t have too high a mix concentration. 4 cu ft bags purchased in 2013 cost me $14/bag. Green Island Distributors, Inc. in Riverhead, NY (east end of Long Island) are selling 4 cu ft bags of vermiculite for $22 / bag. I bought four bags yesterday. I ordered 2 bags. Be prepared… the shipping was almost as much as the cost of one bag, but that’s still cheaper than the same amount at any local retailer. In Western NY, you can buy coarse vermiculite at BFG Garden Supply in Lancaster, NY. (1500 Commerce Pkway) $32.70 for 4 cubic foot. Home Depot now carries 2 cu ft bags of horticultural vermiculite (medium grade). Check out the on-line website. My local Home Depot stores now have it in stock. If your local Home Depot store does not have it on hand, I think you can order it through the on-line store and have it shipped for free to your local Home Depot store. Course is better, regular is fine. I just contacted (1/19/11) Fifth Season Gardening in Greensboro, NC and they quoted me as follows: “4 cu ft. bags for $17.95, 20 Qt. bags for $8.95, and 8 Qt. bags for $4.95. 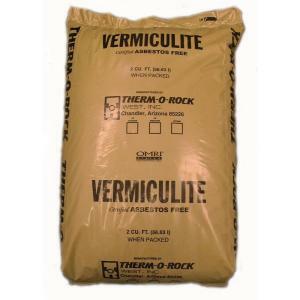 We also carry coarse vermiculite in 4 cu ft. bags for $24.95”. My question is this: Do I buy coarse or regular? And even with shipping the price is good compared to locally. Seems the price on vermiculite is going up and up. and they will ship anywhere in the US! I’ve never seen pumice, I’ll have to check it out. The vermiculite reminds me of puffed rice, so that’s the texture you want to aim for. Vermiculite is getting way too expensive if you have a large garden. One alternative that I think might be better is pumice. It is light absorbs water and drains well and is a lot less expensive. Just called Farmer-D organics in Atlanta Georgia and they seem to have the stuff. About $20 for a 4 cu foot bag. If you’re closer to the Queens area in NY. This place may be better for you. The price is a little higher, but it’s closer. I didn’t go, but called and got the pricing. East Coast Hydroponic Garden Centers, Inc.
Home Depot has THERMOROCK 2.0 cu. ft. Vermiculite for $19.97 each. I called today 2/22/11 and was told it should be instore in the next few weeks.